This 6-wheel drive amphibious off-road vehicle is powered by a 4-stroke OHV V-Twin air cooled 694cc, 19 hp (14.2 kW) Kohler Command Pro engine. 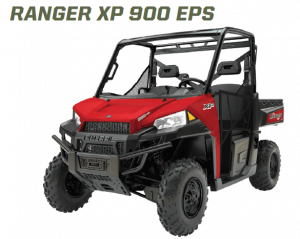 It has a load capacity of up to 700 lb. (317 kg) on land or 500 lb. 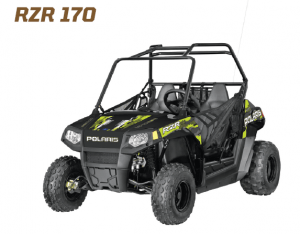 (227 kg) on water, can transport 4 persons on land, 2 on water and features a towing capacity of 1,400 lb. (635 kg). Rear seat weight restriction of 140 lb. (63 kg) applies. 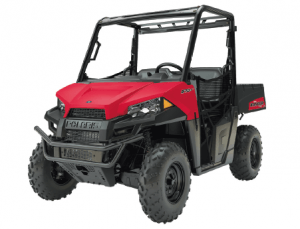 Also available with a 747cc, 23 hp (17 kW) Kohler Command Pro engine. 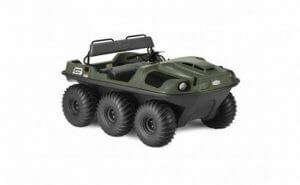 in difficult terrain and water crossing capabilities and is ideal for fishing, hunting and family fun. 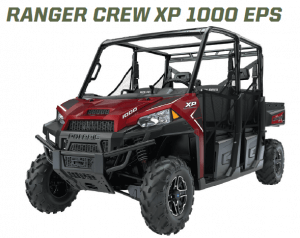 Seating up to 4 persons, the ARGO 6×6 Frontier EFI is our best value extreme terrain vehicle.